My cousin is working on my pt and mentioned that I need a new upper motor mount. My question is, what is the replacement part #? I am finding several different mounts on RockAuto and some of them don't even look the same. My PT is a GT with a manual trans. Are autos and 5 speed mounts any different? Also, the black part in the middle...does that have to be replaced as well (red/arrow see pic)? 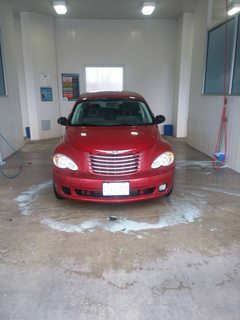 The mopar part is over $100 and I am already looking at about $1500 in repairs to my pt and am trying save any cash I can. Any help would be appreciate because I need to get this part ordered asap. Not sure about the auto vs manual differences, if any, but the black part in your photo is what the mount connects to, and doesn't need to be replaced. What goes bad on the mount is the big round rubber bushing which dries out and cracks, allowing the engine to move more than it should. Thanks for the info.....I have read that Mopar is the best way to go with motor mounts...they are so freaking expensive though, lol. I don't want a crappy replacement that won't last though either. I can't find any info if the manual has a different mount other than on ebay listing that says "automatic only". I got mopar upper and lower mounts. Still good with 45,000 miles on them. I agree they are expensive. 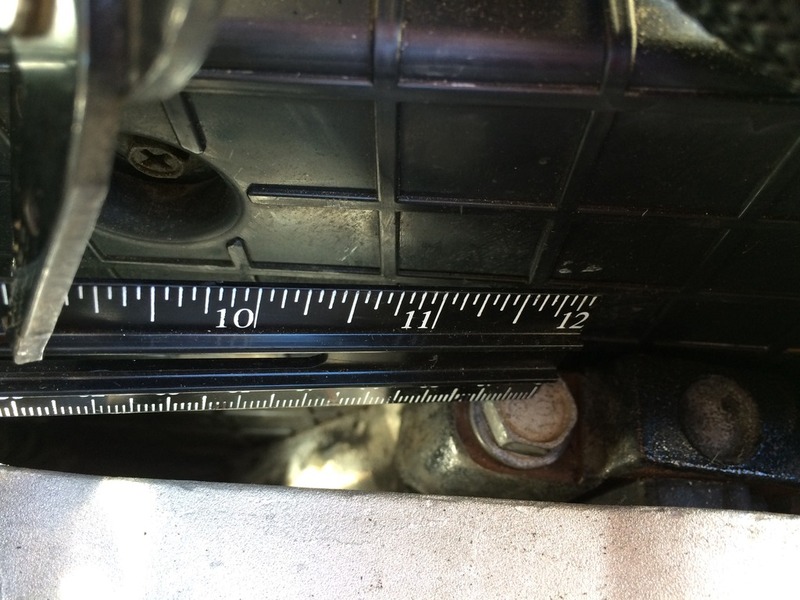 Be careful not to pull on the A/C lines removing and installing the new upper torque mount. I used cardboard tto keep the A/C lines from being damaged. Don't forget to do the 4.720 alignment or you will be replacing the mounts again. Last edited by ptcruisersteve; 11 Apr 2019 at 08:35 pm. Don't forget to do the 4.700 alignment or you will be replacing the mounts again. Thanks for the info. 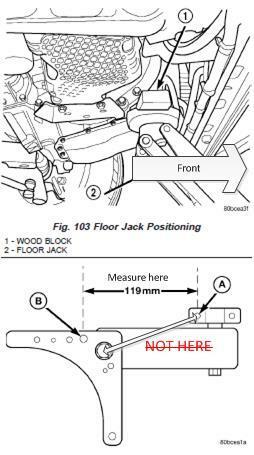 Is the 4.720 alignment in the service manual? That is probably what my cousin is going by. 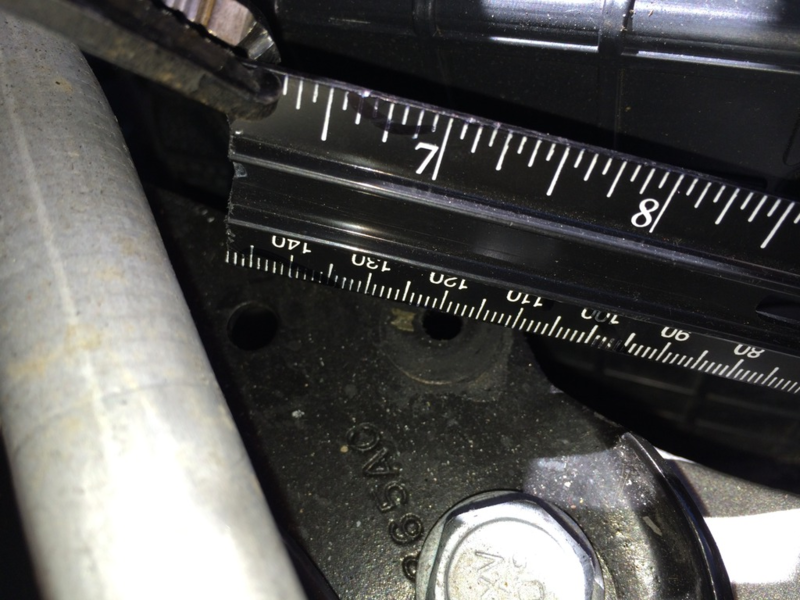 119mm = 4.72" from the rear bolt hole of the removable bracket to the hole in the bracket that the rear of the torqe strut bolts onto. If you buy them at Rock Auto, they are less than $10 each. You could buy 10 and still be ahead of what Mopar charges for them. Autozone charges about 4x what Rock Auto does but they have a lifetime warranty so when it wears out, bring it in and they'll give you another one so 4 replacements is right around the break even point. Replacing and aligning them takes about a half hour so it's not a big deal either way.